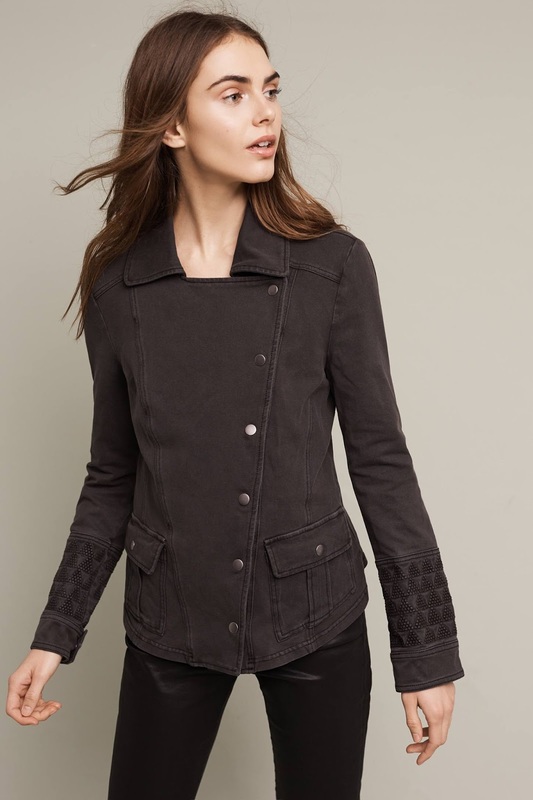 I am just as excited about Anthropologie’s new coats as you are, Cadre Knit Military Jacket ($128) model! Anthropologie’s January 2017 new arrivals are starting to leak online and it looks like we might be getting a full catalogue, which is exciting in and of itself to this January baby but even more so are all the cute coats that seem to be appearing too! Another look at the Cadre Knit Military Jacket ($128), closed. 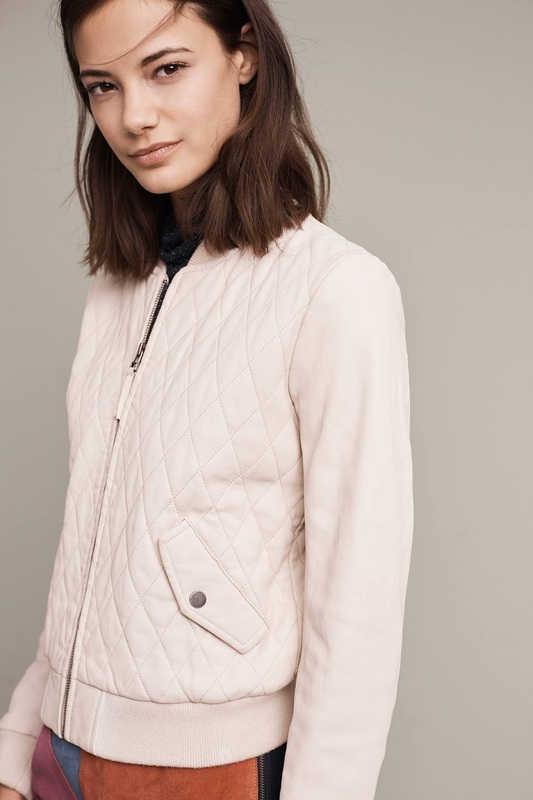 I saw the Quilted Cozy Coat ($118) in-store today and it is indeed cozy and quilted! I would call it medium weight. Although no closure is annoying, it’s a great wrap. 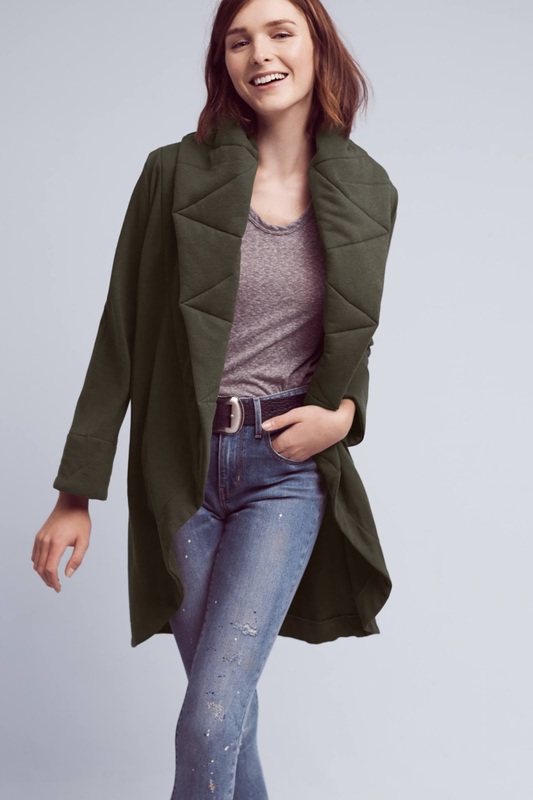 Another store mannequin was wearing the Abby Sherpa Moto Jacket ($158). It was so cute I had to try it on! It has a slightly shrunken fit, but I love the grey color. It is very, very soft. but this grey color is MUCH more appealing! Why don’t stores seem to have this color in-stock? Like the moto, this jacket has a slightly shrunken fit. I’d wear it mostly over high-rise jeans. 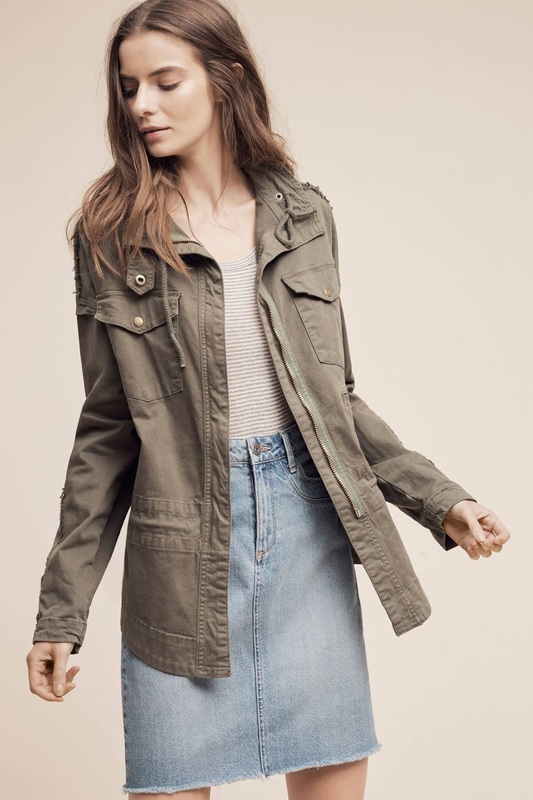 Gosh this Vista Bomber ($148) is just so cute!! It has a boxy fit to it, but is nice and warm for a midweight jacket. Love the skirt shown with it too. 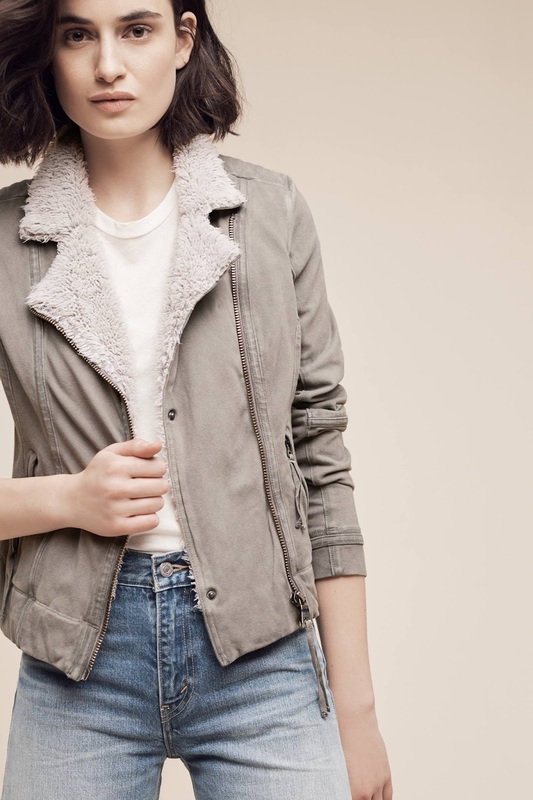 The cropped Hilltop Ruched Bomber ($98) comes in three muted colors. To me it’s more sweater than jacket, but it’s all the same in terms of warmth. I’m a big fan of both colors of the Trapunto Robe Coat ($138). but it was so very soft when I tried it on in-store today! Hello, pretty pretty Joe’s Jeans Qulited Leather Bomber ($498). I love the whole outfit idea shown with the Dolina Toggled Cape ($628). 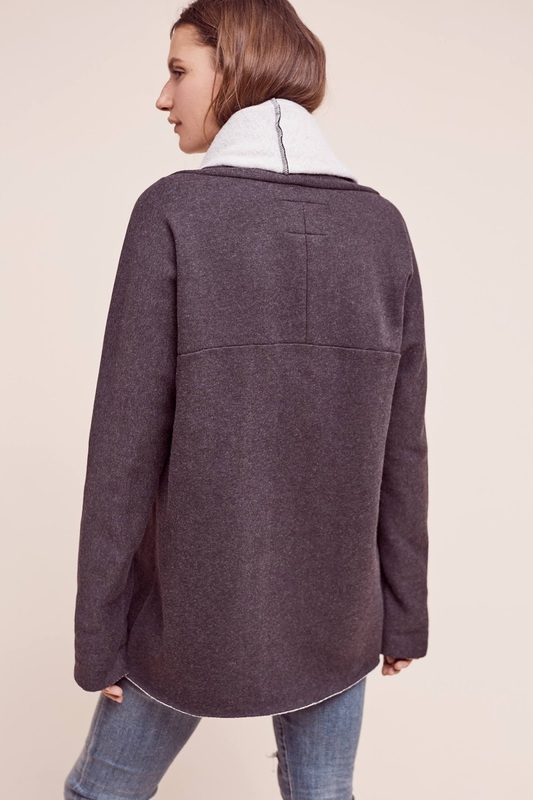 The Plymouth Knit Jacket ($268) is a very cute way to end this list. I guess it’s a coat kinda day today — I went from thinking I didn’t need the Free People Leopard Print Fur Coat (now $199 + 40% off in-store) to realizing I really wanted it, especially at 40% off, and being able to hunt one down in California — thanks Walnut Creek FP!! 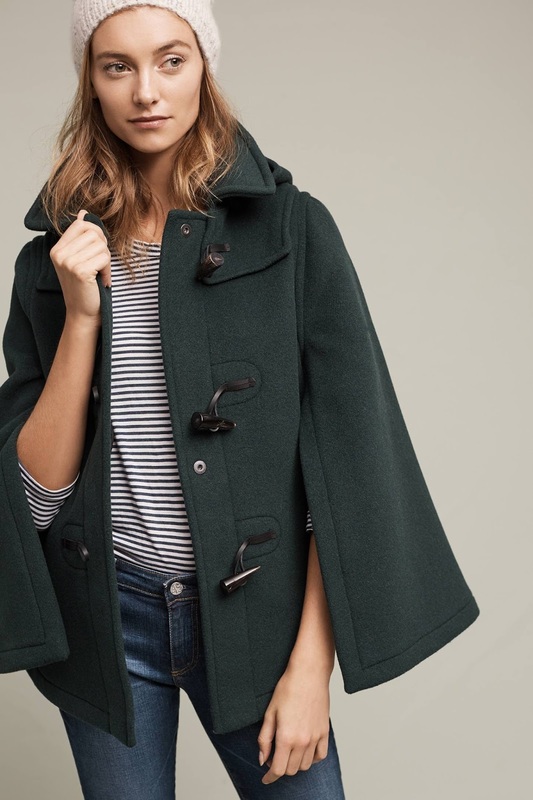 I have no more room in my closet for coats…but I want ALL of these anyway! How about you? Previous Post Boden takes further sale cuts!